Loudoun County, VA residents are increasingly turning their attention to Service Doctors for all of their HVAC and plumbing needs. We take pride in our reputation for quality work and it shows. All of our plumbers and heating and air conditioning techs are experienced and highly trained, so they’ll get the job done right the first time and as quickly as possible. Whether you’re in need of emergency repairs for your central heating and air conditioning system or you’re looking to have a new tankless water heater installed, our technicians have the skills and knowledge needed to discuss your project and complete it to your exact specifications. It is hard to imagine surviving the summer without an efficient and effective air conditioner, and that is just what you will get when you come to Service Doctors. We will help you select the right type and size of air conditioning system for your Loudoun County, VA home so that you can be sure those sweltering summer months will pass smoothly. And whether we installed your original system or not, we are happy to come out and take care of any necessary maintenance or repairs. Your heating system is a vital part of your home. It is how you ensure your family is safe and comfortable all winter long. 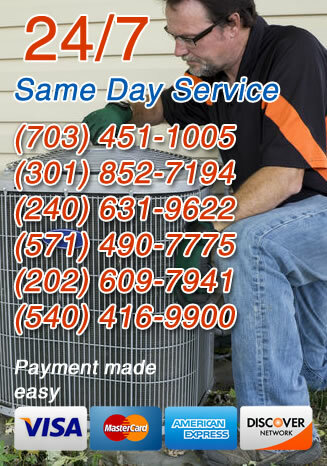 The Loudoun County, VA heating professionals at Service Doctors know how important it is for you to have a quality heating system that works properly on a regular basis. That is why we offer top of the line furnaces and heat pumps to our customers. Whether your heating system needs servicing or you think it’s time to replace an existing system, give us a call. Maintaining a high level of indoor air quality is a serious concern for many people. With modern Loudoun County, VA homes sealed up tight to keep temperature controlled air in, it has become necessary to install systems that can remove dangerous contaminants from that air. Whether your main concerns are cooking fumes and pet odors or pollen and dust mites, we will help you find just the right product to make your indoor air safe and breathable. Service Doctors has provided plumbing installation, maintenance and repair services to Loudoun County, VA homeowners for years. Whether you need your pipes replaced due to their age, or you have a leaky faucet, or your toilet just won’t stop running, we’re here to help. Our plumbers are trained with the newest technology in the industry to ensure we offer top notch service on every visit. Call today for any type of plumbing service and one of our expert service staff will be happy to assist you. Service Doctors also installs, maintains and repairs all types of hot water heaters. For new water heater installations, we offer both the traditional hot water tank systems as well as tankless hot water heaters. Each has its benefits and one may be more suitable for your home than the other. Our experts can advise you on which type they think would work best for you. The upfront installation cost of a tank hot water heater is less than that of a tankless system; however it’s less efficient because energy has to be used constantly to keep the water hot inside the tank. Still, because of the cheaper installation, tank systems can often be useful in smaller homes or homes that don’t use a lot of hot water. At the same time, while tankless systems may cost more initially, they can save homeowners significant amounts of money over time because they’re so much more energy efficient. The reason the tankless systems are so much more efficient is because they don’t need to keep the water hot — they flash heat it instantly only when it’s needed.